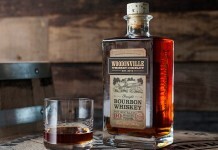 There’s a tremendous amount of buzz around American Whiskey, and a lot of companies are looking to capitalize on the growing interest in the category. But good whiskey takes time and money, both of which are not always in large supply. Many distillers have attempted to catch hold of this whiskey crazy by releasing unaged white whiskey or white dog to provide a product that earns revenue to sustain the production of true aged whiskey. On the periphery of this space is a very loosely defined category of ‘spirit whiskey’. These whiskeys often don’t conform to the traditional definitions of whiskey and are often presented as an alternative to neutral spirits like vodka. 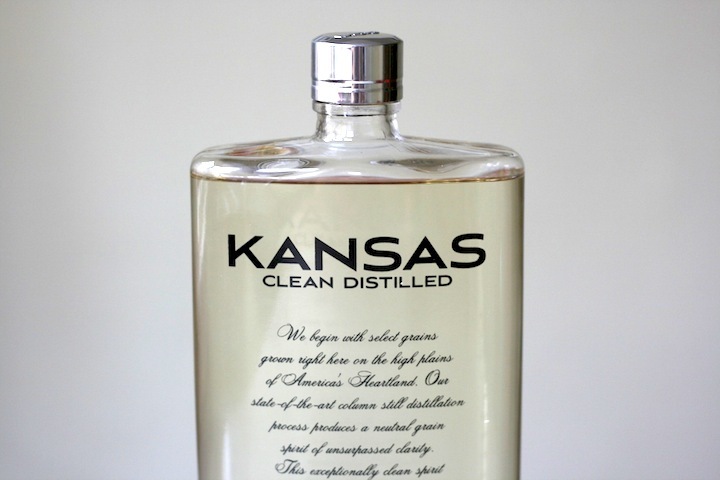 Kansas Clean Distilled Spirit Whiskey (40%, 80 Proof, $29.99) comes at the whiskey space differently. Rather than delivering a young whiskey, it mixes column distilled wheat grain spirit with more traditional aged whiskey. The result is something that is neither vodka nor whiskey, but a half way combination of the two. Vanilla notes dominate the nose of the Kansas Clean Distilled Spirit Whiskey which smells more like a sweet vanilla vodka than a whiskey. The entry is very soft and sweet with distinct vanilla, white chocolate, and buttered toast notes. The wide sweet entry starts to thin out in the midpalate where things begin to taste and feel a lot like vodka. There’s some heat and strong astringency on the tongue which carries through a dry finish. 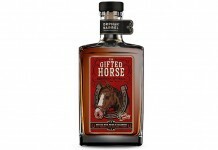 Kansas Clean Distilled Spirit Whiskey tries to straddle the line between vodka and whiskey, but ultimately delivers a fairly confused drinking experience. Someone buying this expecting anything resembling a whiskey will be fairly disappointed as it barely delivers the kind of flavors and experience of even the lightest and easiest of whiskeys. These whiskey drinkers would be better served with an easier aged whiskey like Gentleman Jack than this vodka-like spirit. Vodka drinkers may enjoy the additional flavor that Kansas Clean Distilled Spirit Whiskey delivers, but they would probably be better served just upgrading their vodka to something like Karlson’s Gold Vodka, which at $10 more delivers a far greater depth of flavor and quality of spirit. 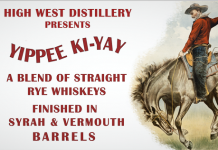 Fortunately or unfortunately, there really isn’t much space in the market for spirit whiskey and Kansas Clean Distilled Spirit Whiskey doesn’t deliver anything to show that spirit whiskeys are worth exploring.